Air Force Operational Test and Evaluation Center, Detachment 4 personnel are positioned next to operators while testing a weapons system, Feb. 13, 2019, at Peterson Air Force Base, Colo. AFOTEC’s mission is to test weapons systems in operationally realistic environments with the goal to inform war fighters from the lessons learned and influence national resource decisions based on the test results. 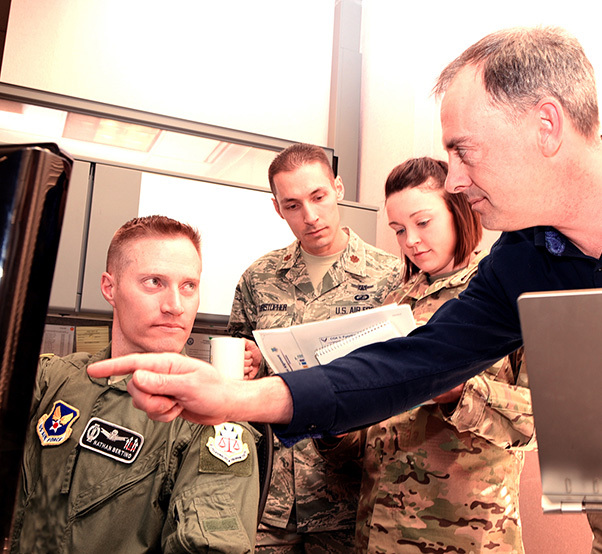 The Air Force Operational Test and Evaluation Center, Detachment 4, tests and evaluates new space, cyberspace, missile and missile defense capabilities. Their mission is to test weapons systems in operationally realistic environments. The goal is to inform warfighters of the lessons learned and influence national resource decisions based on the test results. Det. 4 has been assigned to operationally test and provide feedback for over 30 separate weapons systems. AFOTEC employs more than 600 military and civilian personnel, headquartered at Kirtland Air Force Base, N.M. AFOTEC is comprised of five detachment units in five different states: Edwards AFB, Calif., Det. 1 and 5, Eglin AFB, Fla., Det. 2, Peterson AFB, Colo., Det. 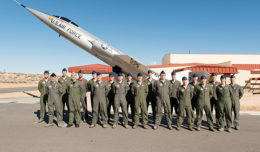 4, and Nellis AFB, Nev., Det. 6, said 1st Lt. Randi Winther, AFOTEC Det. 4, space and cyber test operations division officer. Our Peterson Detachment has three operating locations under its command, located at Buckley AFB, Colo., Hill AFB, Utah, and Los Angeles AFB, Calif., Winther said. During the test, AFOTEC personnel are positioned next to the operators for the duration of the test, which lasts approximately 30-45 consecutive days. This close-proximity assessment technique enables test teams to thoroughly observe the mission needs of the operators in real time and determine how a current or new system responds to the challenge, said Winther. The Det. 4 Space-Based Infrared Systems test team won AFOTEC’s test team of the year for 2017, beating out over 89 other test teams for the Air Force Association Howard W. Leaf test team of the year award at the AFOTEC headquarters level. 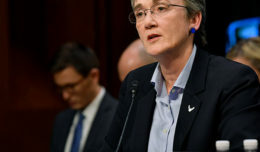 All programs are unique in terms of what capabilities are being provided to the warfighter, therefore all are equally important to accomplishing the mission, Winther said.